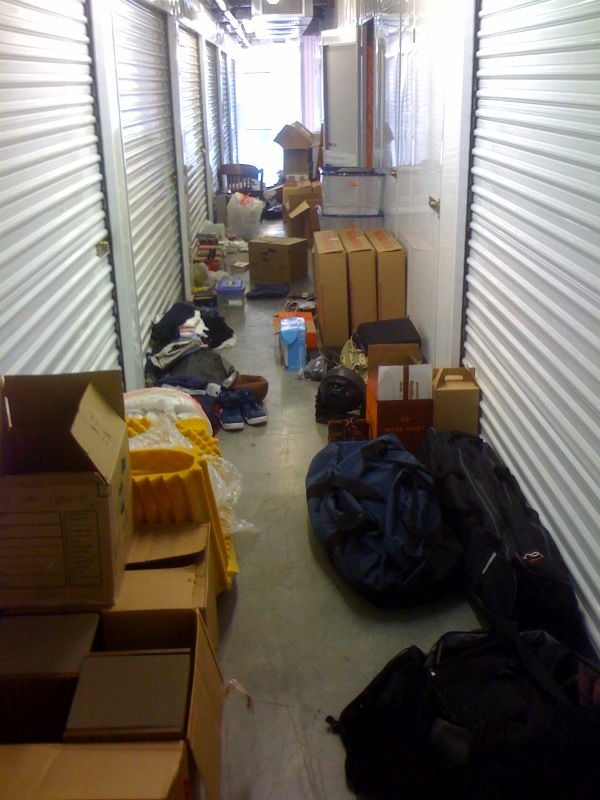 When I left San Francisco for East Africa and Oxford nearly three years ago I rented a storage unit to keep some of my stuff. I had returned to the unit several times while passing through the Bay Area to pick up various essentials (surf board, snowboard, camping gear, bicycle) but had not penetrated beyond the first layer of the 5’ x 5’ locker since I crammed it full of boxes, files, a mattress and I know-not-what in May, 2008. The time had come to deal with my storage locker. The most remarkable thing about all the stuff in there is how little I missed it. There were moments during the last three years when I cursed myself for having to re-buy something lost in storage purgatory (yet another bike tool) and I was, admittedly, excited to be reunited with my favorite books. But for the most part, I have not only not missed all my stuff, I have felt actively liberated from it. As the months and then the years passed and I moved from one place to another, I came to appreciate a lighter bag and a lightness of ownership. Less stuff meant less weight, less clutter, less responsibility, and, I have found, less desire for more. Less mine. But, perhaps, more me. I stumbled across this liberation by accident and, as you will see, I still have a long way to go. Others have gone much further. A website “The 100 Thing Challenge” chronicles a man’s effort to live with only 100 personal items for a year and challenges others to do the same. As an aside, I have been amused but not at all surprised to find advertisers picking up on this growing awareness and desire for meaning and experience instead of consumption and accumulation. A recent commercial for Buick is a great example. Buick asks, “How will the value of your days be measured? What will matter is not what you have…” Now buy a Buick! As the occupier of two such units (yes, I am ashamed to admit, I have a second unit near my parent’s home in Connecticut), I am in no position to criticize, but I think this glut of storage space says much about America’s culture of consumption, waste and debt. It could, and probably has, served as the basis for searing cultural and economic critiques about our national woes. It didn’t take long for my storage unit to explode on the hallway floor as I unpacked boxes, discovering long forgotten items, inspiring both joy (my copies of Where the Wild Things Are and East of Eden) and disgust (a box containing nine pairs of $100+ blue jeans). Performing triage on this mess was exhausting. As the pile for donation grew, the pile of things I couldn’t bring myself to part with grew just as frustratingly tall. After hours of consideration and sorting I found a loophole and surrendered. I discovered that there was another storage unit in a lesser complex five miles down the road available for half the price. I justified to myself: wouldn’t it make financial sense not to have to replace some of this stuff (a nice mattress) and wasn’t it necessary to take care of gifts and family art I couldn’t take with me? So while my old television, jeans and innumerable wasteful items made their way to Goodwill, an equally large car load found its way to the cheaper storage unit down the road. There was one line I was determined not to cross. I would take with me to New York only as much as could fit in the back of my car. This sorting had been taking place simultaneously and the pile was looming ominously large. Even with all my recent packing practice, loading my car would be an interesting challenge. 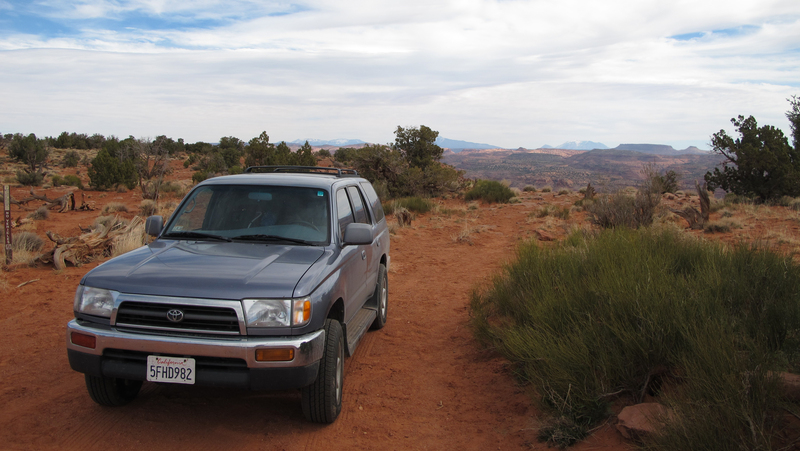 In Escalante, Utah – 974 miles into my cross-country journey – I stopped for the night and packed for a hike the next day. While I was searching for my compass in the back of my car, I sifted through bags and boxes and surveyed my belongings. I’m moving out right now, taking a break in my underwear, sweating on my laptop surface in a hot Williamsburg, NY apt. Well researched and easy to read is this guy Ben Leslie. His help for himself has helped me to feel even better about downsizing; and is the same advice many are giving me. No one is saying keep everything. One is saying ‘accidentally’ pack your cell phone. As a result I’ll chuck a few more albums i’ve never listened to and probably won’t – ever. why horde that stuff; spread the wealth; especially that which is of little value to me, actually, though i price it high. Selfish to hold such items away from others who may price higher or lower and actually USE – giving it a higher value for our global community in general.